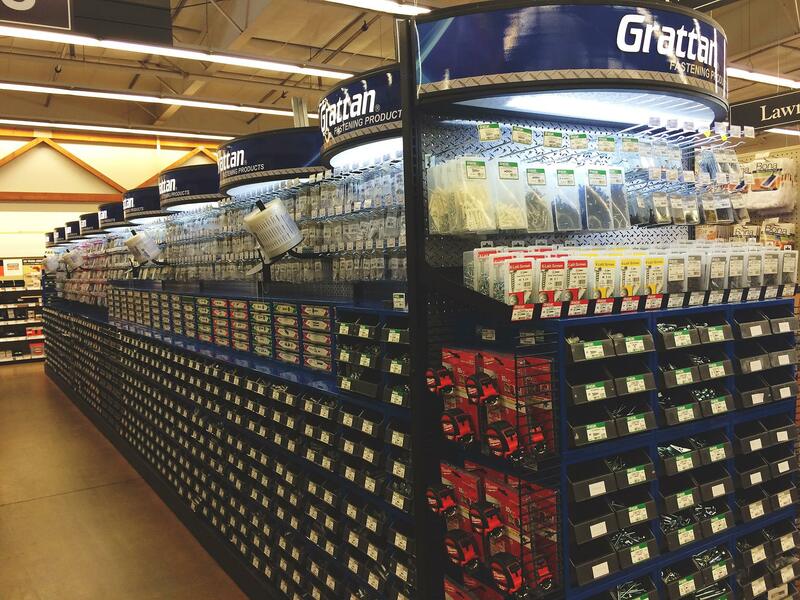 If you’ve popped into any of our stores over the last few months, you’ve noticed a well-lit, dynamic, and a new state-of-the-art Grattan fasteners section in place. Grattan Fasteners was founded in 1957, and while the industry has changed considerably since then, Grattan’s continued to make great nuts and bolts, while also being a leader in the fastener distribution industry. If you’re looking for a random bolt or a specialty screw, chances are we carry it in the Grattan line. Plus, we have unbeatable pricing! If you buy a box, you save 10% off the price. If you have a M-Pro account with us and you buy a box, you’re saving 15% off the regular price. Check out the new sets in stores today. Between Grattan Fasteners and our Meek’s experts, we’ll help to take your from project inspiration to job well done!